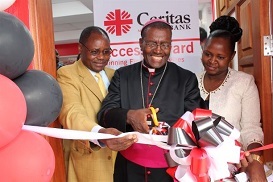 Caritas Microfinance Bank that was launched four years ago says it is developing structures that will see it compete with the best in the country. 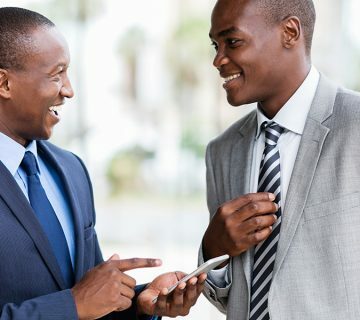 Speaking during the launch of Karuri branch in Kiambu county yesterday, bank chair Patrick Kinyori said they were working hard to grow network and reach. The function was officiated by Nairobi Diocese Auxiliary Bishop Reverend John Kamau. “We know whom we are embracing and so far, it has been working well. The shareholders have made an effort to reach to new areas as market demands. It is with this in mind that beyond Nairobi, other places are seeming good to explore,” he said, adding that their next outlets will likely be in the Western Kenya counties of Bungoma and Trans Nzoia. The bank currently has an asset base of Sh1 billion and employs more than 100 people. Shareholders recently approved an extra capital injection of Sh200 million for facilitation of product diversification.